Do you know there is another Paris under Paris? 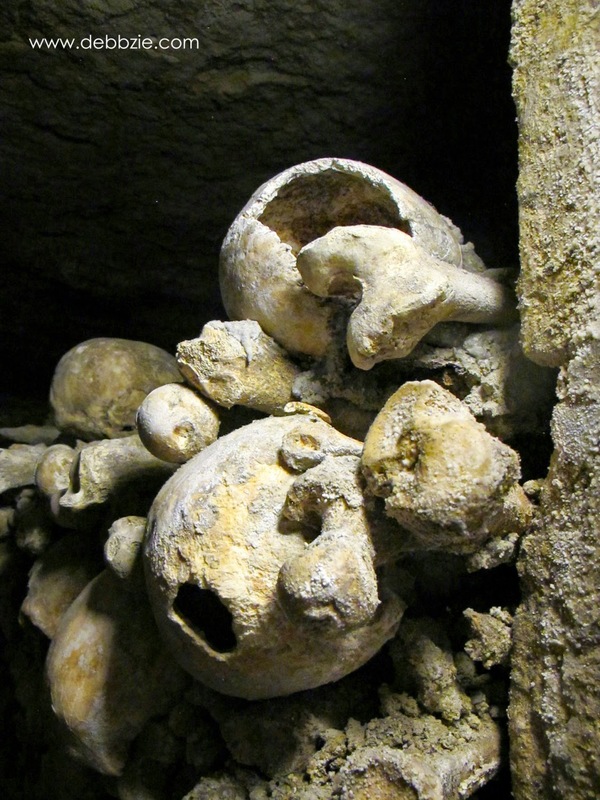 While exploring the vibrant city of Paris, you might not realise that underneath your foot lies millions of bodies who once lived. 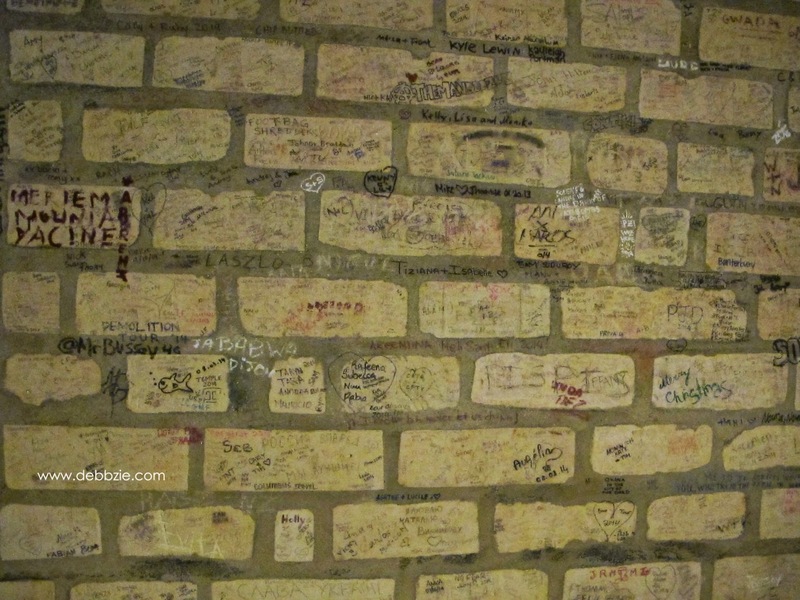 It's another side of Paris....the darker one that not all tourists are willing to visit. I didn't know this place existed on my first visit to Paris back in 2001. I found out about it few years later after I watched 'Catacombs' the movie and started to gather some informations about it. But it wasn't until my third trip to this city that I finally managed to visit it. 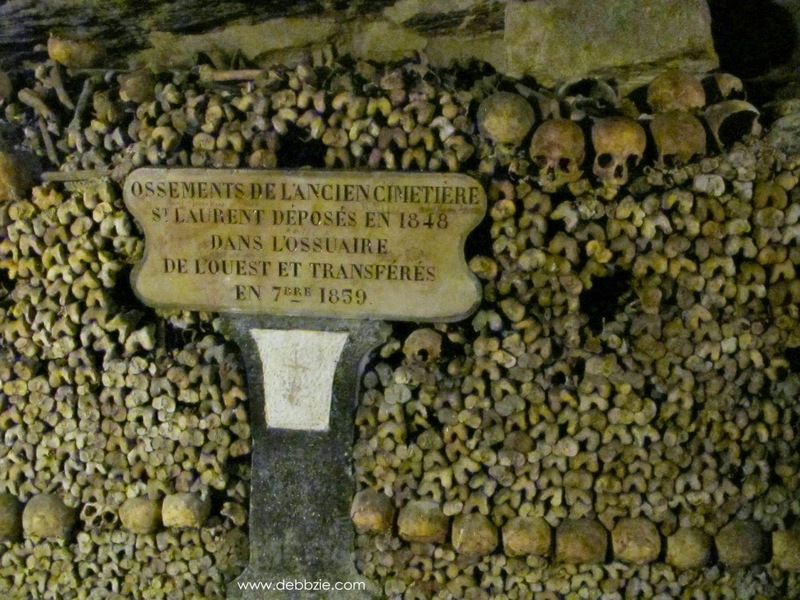 In the 17th century, this city was facing a major problem about where to bury the death people. Some of the cemeteries which held more than 30 generations of human remain were overstuffed to the point cemetery walls broke open and spilling rotting bodies onto the streets. And of course the awful smell was tormenting people who lived in that area. It also caused some disease that the government had to find a way to relocate all the corpse. 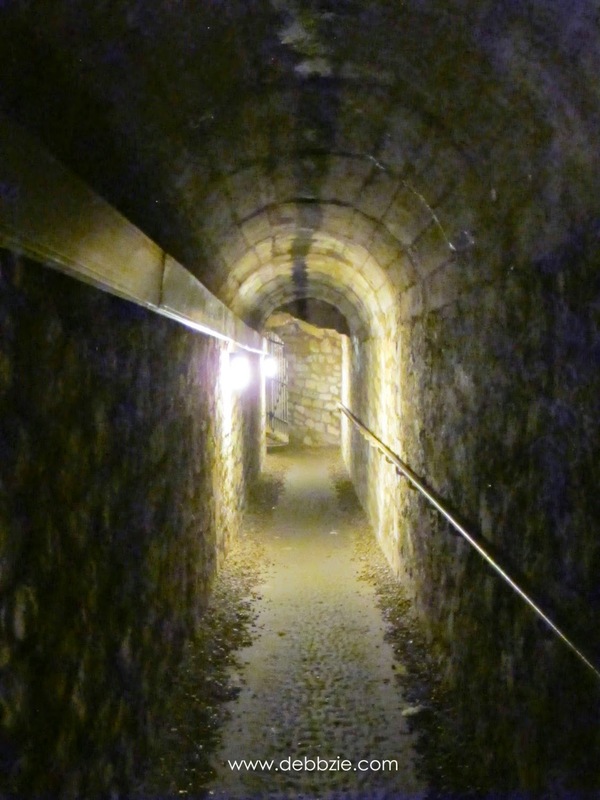 The solution was the centuries old tunnels that had existed beneath the street of Paris since the 13th centuries. 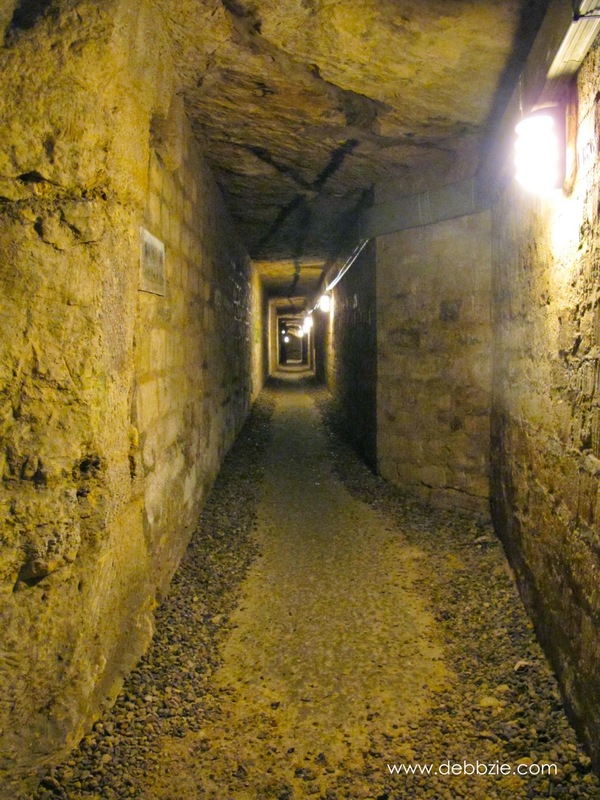 The tunnels is approximately 300 km long and was dug as quarries, sewers also limestone mine. I got some free metro tickets from the hotel I was staying at, so I hop on the train to Denfert-Rochereau station. 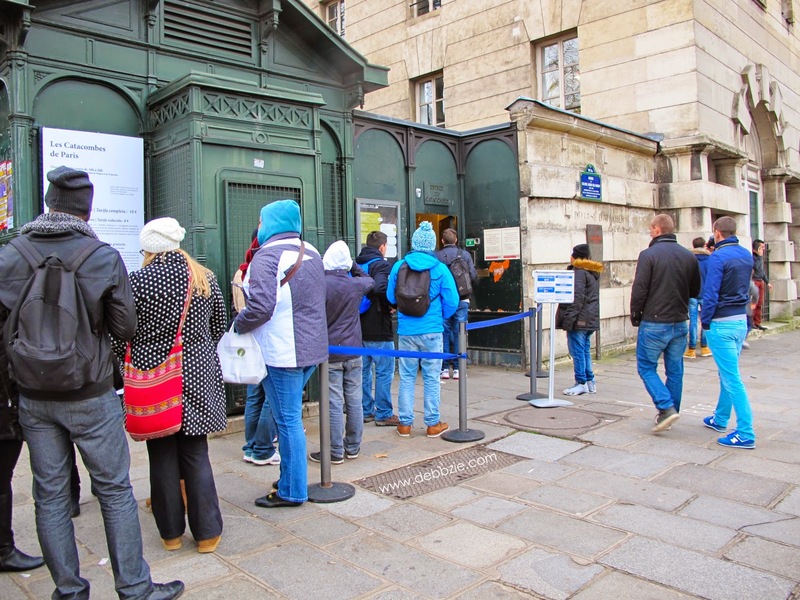 It was on Tuesday around 1pm and the queue outside the Catacombs entrance door was kinda crazy. I went there with my family (Dad, Mom and sister) and spent more than 2 hours queueing under the rain and cold (7 °C) before we finally made it to the ticket counter. It's a good thing that they only allow some number of people into the tunnel at a time. So it won't be too crowded inside. The tour is unsuitable for people with heart or respiratory problems, those of a nervous disposition, claustrophobic and young children. I've always knew I'm a bit claustrophobic but I've been to some caves before and I handled it well. 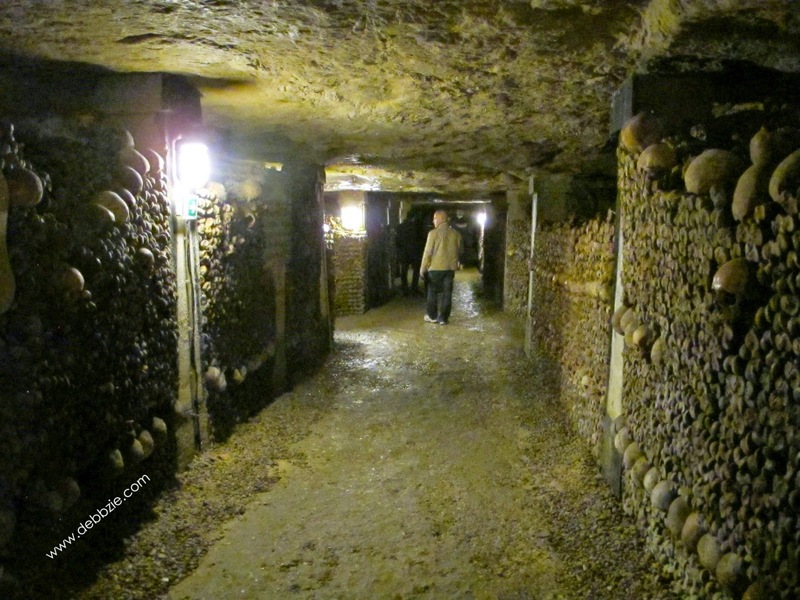 So I confidently thought I would be okay to explore this catacombs and ignored the warnings. 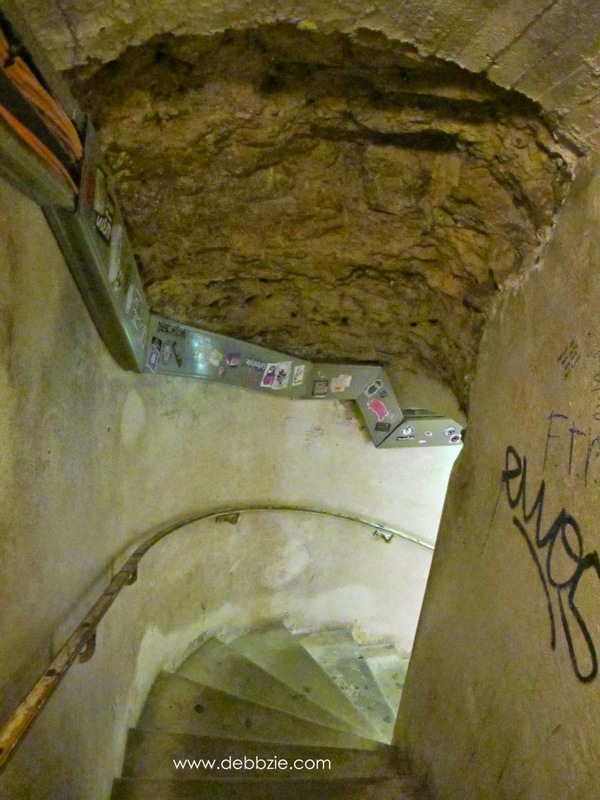 To reach the 20 meters deep tunnels or equivalent to a five storey building, I had to go down 130 steps in a tight spiral staircase. By the time I reached the bottom, my knees were already weak and I was feeling dizzy. "Huh? What?" I turned my head to the back, thinking that my family were saying something. 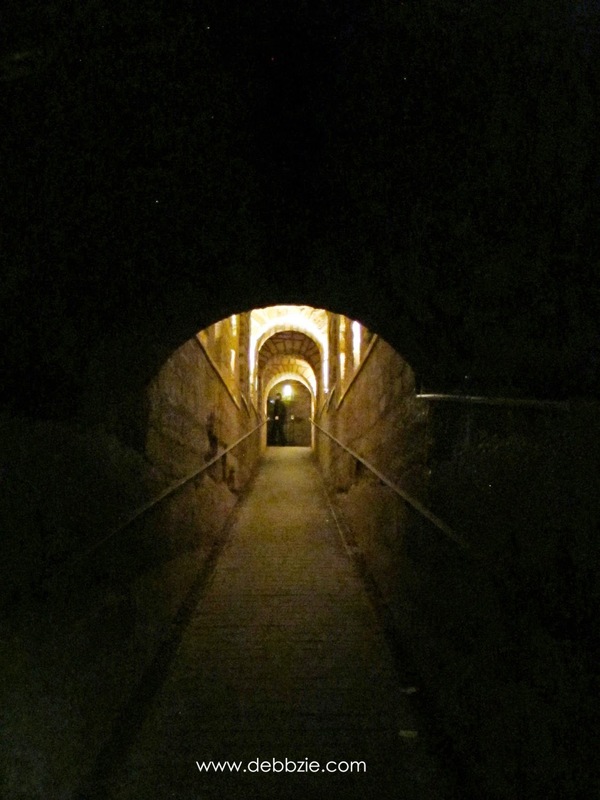 But I saw them walking quite far behind me and I was alone in the middle of the empty tunnel. Feeling confused, I stopped walking. It was when I started to feel an icy cold tingling sensation spreading from my fingertips to my arm and very fast to all over my body. A very strange feeling. It felt like I lost control over my body and my gut telling me to run. My body started to shake as I was having a breath difficulties. "Help!" I tried to scream but I couldn't hear my own voice. My head was spinning and my vision got blurry. "Oh no! Are you okay?" I heard Mom's voice as she grabbed my arm. I was about to fall because my legs were weak, so I leaned against the cold wall. "Please...take me out. I can't breath." I started hyperventilating. It seems like the ceiling was getting lower and the walls were about to crush me in the middle. Yes, I was having the worst case of panic attack in my life. There was no way to run, I was in the middle of the route. It's an one entrance and one exit tunnel. I couldn't go back. "Breath slowly. Relax!" Mom and Dad were holding my arm as I was about to faint. I was trying to breathe slowly while thinking about some happy stuff to calm myself down. Thinking about my cute and funny dogs at home. Thinking about places that makes me happy. Luckily, after a while it started to work! Gradually my head stopped spinning, I got my vision back and I was strong enough to stand on my foot. And a couple minutes later, I had not completely felling fine but was able to walk again. Phew! That was one hell scariest things I've ever experienced! Stop! This is the empire of death! After what it felt like forever, I finally reached the entrance with "Arrête! 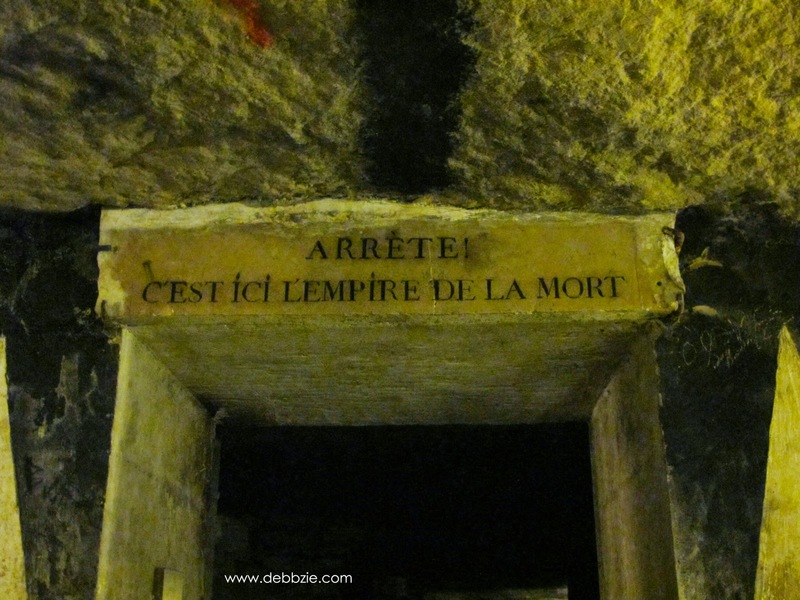 C'est ici L'empire de la Mort!" written above it. "Stop! This is the empire of death!" 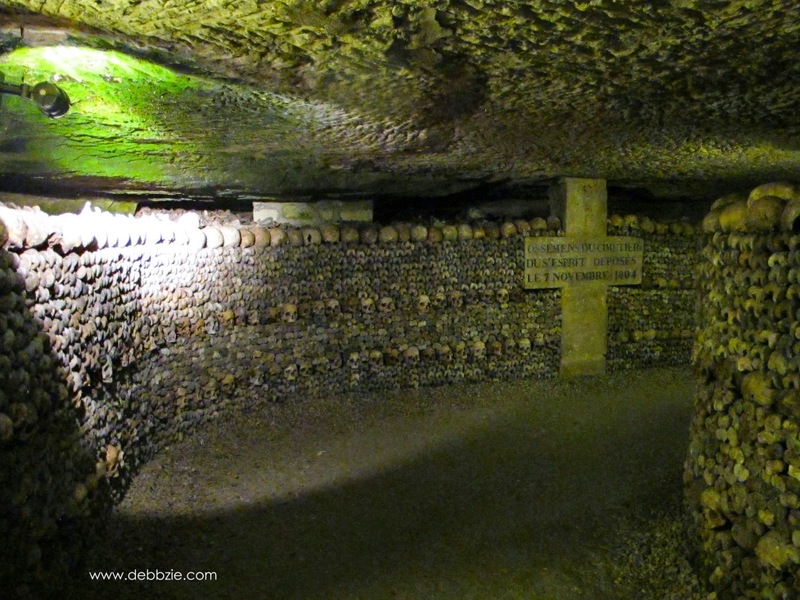 This is where the visitors can look at the bones and skulls in a close distance. Some people even touched and made fun of the bones while taking selfie. Such a disrespect thing to do! Everyone of them was once a living person and had a name. I found it quite disturbing to play around with the remains of dead people. I wonder what happened to your head? 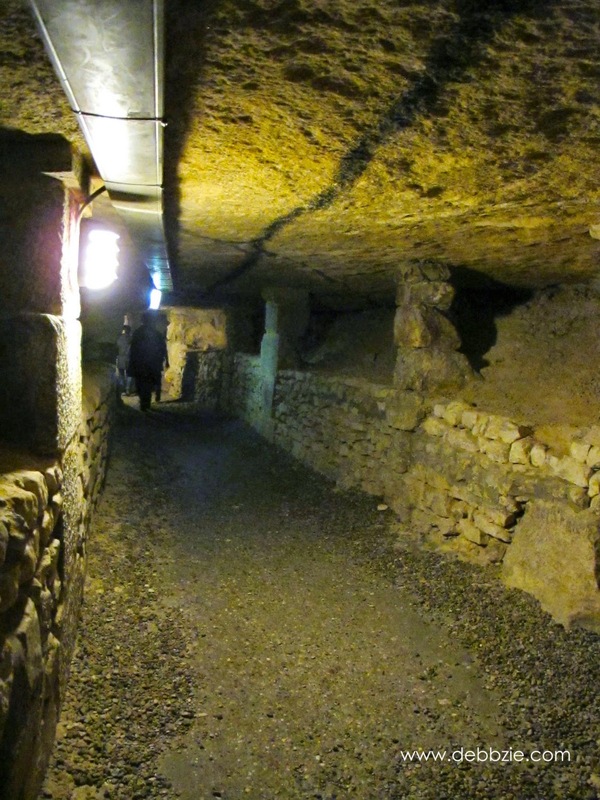 The 300 km long tunnel is the final resting place for more than 6 million Parisians but only 2 km are open for public. 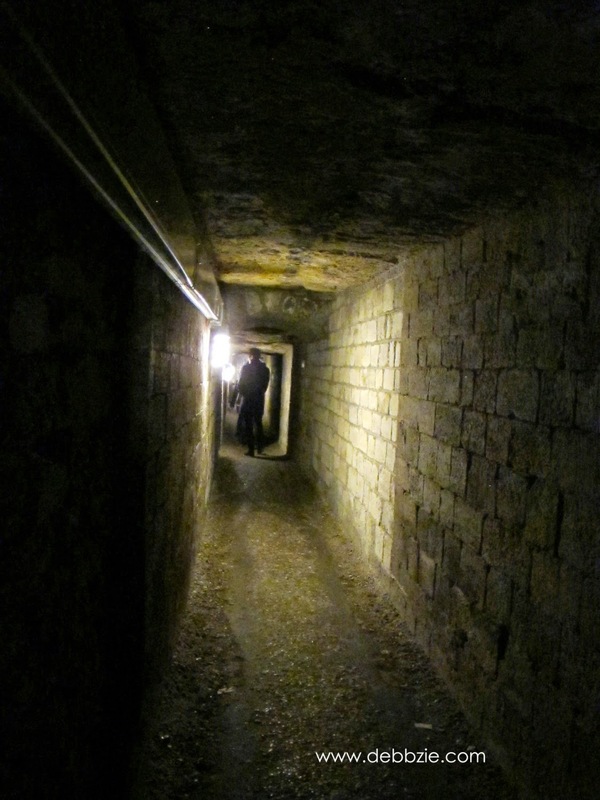 Even though it's illegal to access most areas, secret entrances exist throughout Paris and it's possible to enter the catacombs via sewers, metro and certain manholes. Some urban explorer or called as Cataphile often illegally enter the catacombs just for fun while they actually could get lost easily, died and will never be discovered. It must be a horrible way to die. Dying slowly while millions of skulls staring at you in an empty yet powerful stares. Finding the exit door is another journey through the 'never ending tunnels'. I had to stop a couple time to sit and catch my breath because I was starting to have a breath difficulties again. 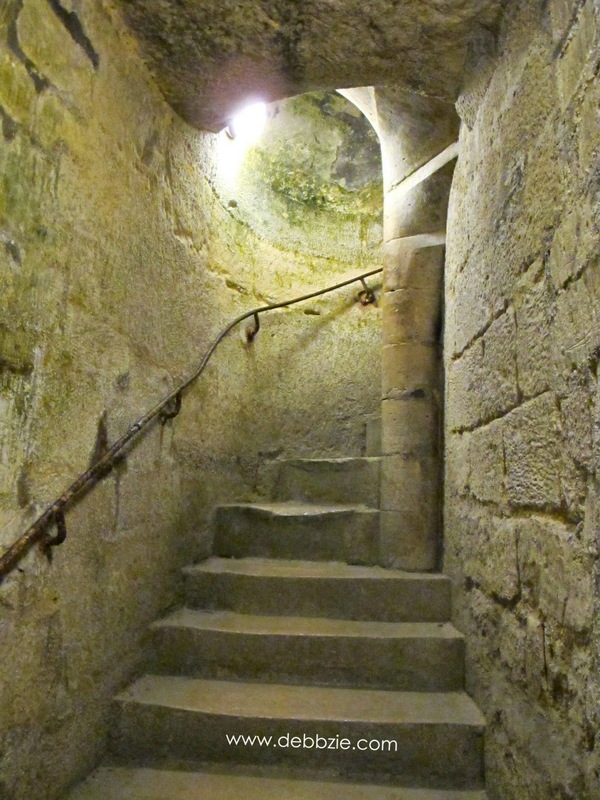 At the end of the tunnel, there was still 83 steep and tight spiral steps to climb. And finally, voila! Suddenly I found myself on a normal and busy street of Paris again. As if the experience I've just had was just a surreal dream. At the exit door, a guard will examine every visitor's bag because apparently some people had tried to steal the bones. 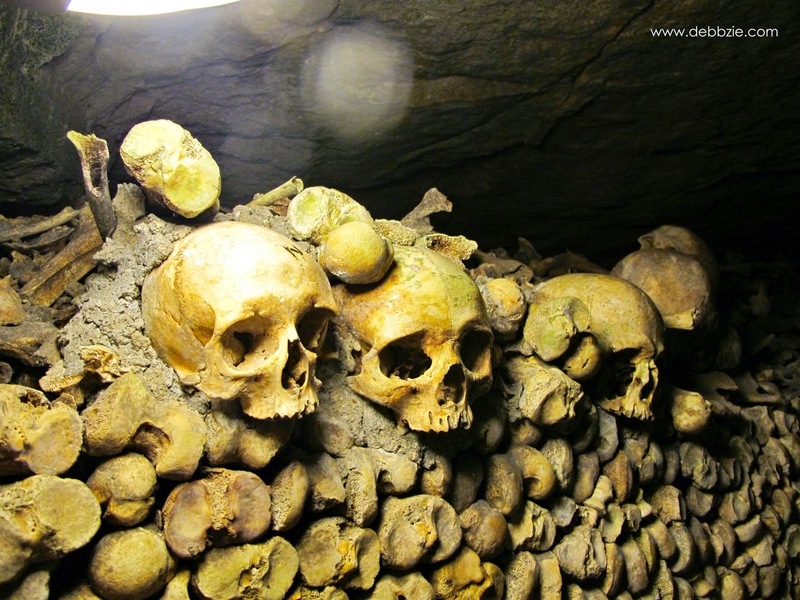 "So how was your trip in the catacombs?" 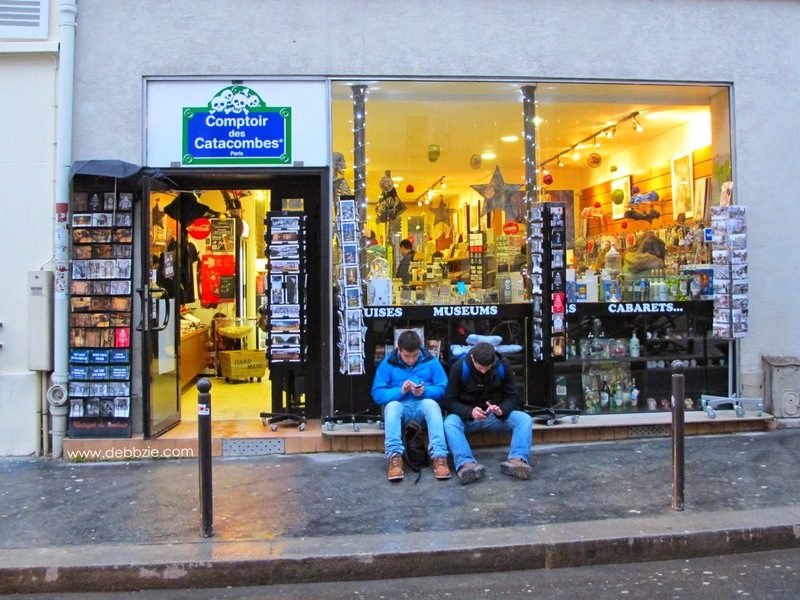 The shop's owner asked me as I purchased some souvenirs across the exit door. 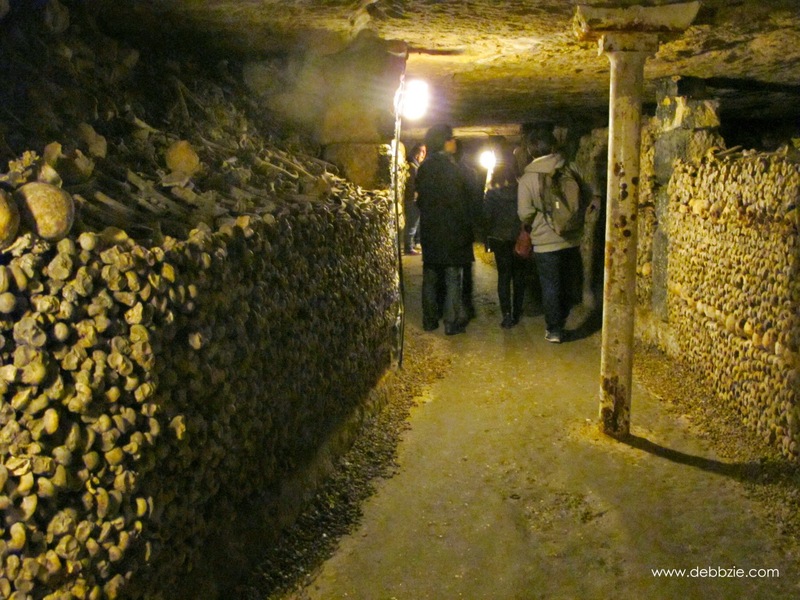 "I love the catacombs but I almost passed out for having a panic attack. I didn't know that my claustrophobia is that bad. It never happened before." "Oh, dear! Glad you made it out of the catacombs just alright. We have several cases every month where firefighters help people getting out from the tunnel." He smiled at me sympathetically. Yeah, I was so relieved to get out safe and sound. I was just feeling really disappointed with myself. 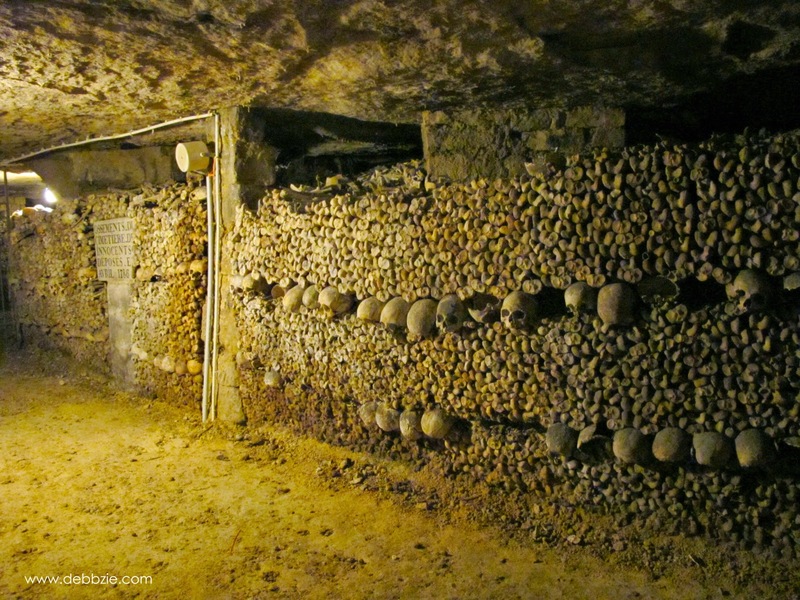 I lugged my heavy DSLR camera and tripods as I wanted to take some good quality photos of the catacombs. But after the incident, I didn't have enough energy and mood to work with my camera. I was just relying on my pocket camera. So I really am not happy with blurred and noisy images in this post. 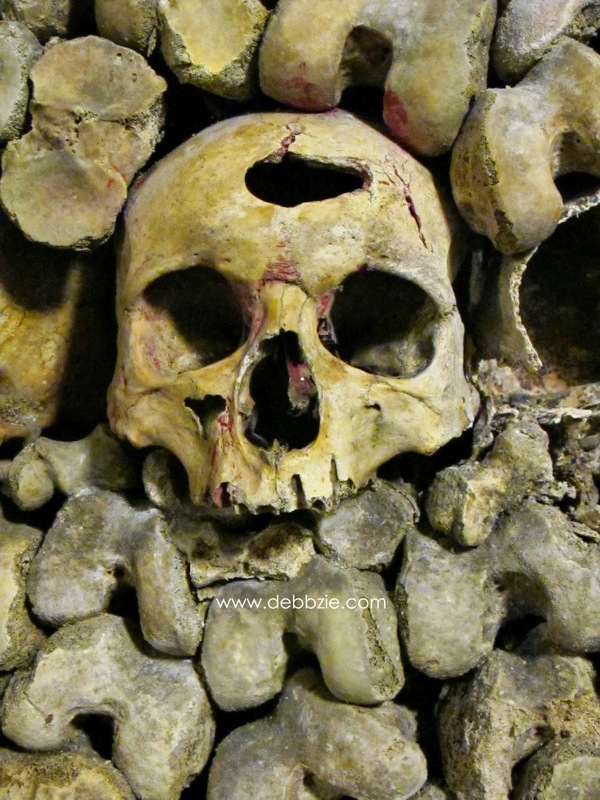 Though one thing that I learned after visiting the catacombs is trying to stay humble. There's no need to brag and overly proud about how great or how rich or how powerful we are. Because after the death, it doesn't matter anymore. In the end, we will all become only a pile of bones just like everybody else. 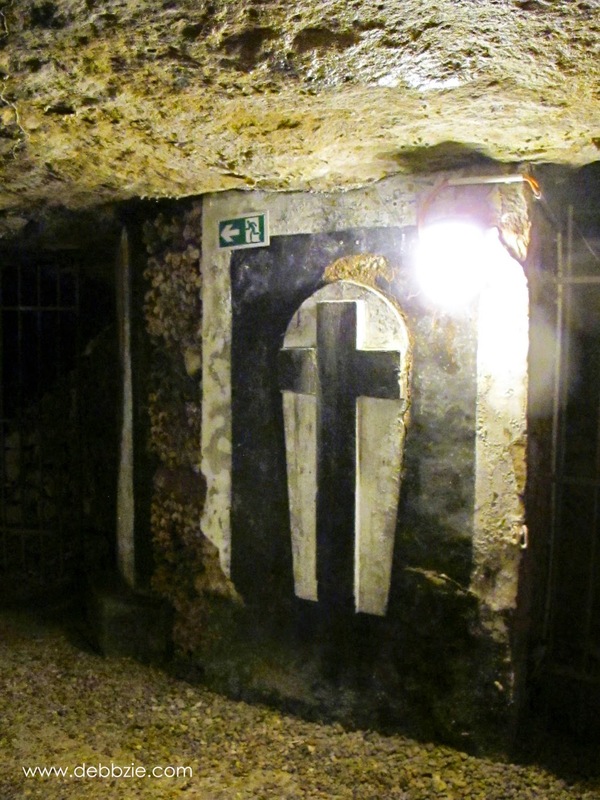 * The Catacombs of Paris is open daily from 10am to 8pm, except Mondays and public holidays. Admission fee 10€ per person. Wow, interesting, never heard of this. Cool, Finally I have a solid reason to visit Paris, since I thought Paris is a very mainstream place, touristy and for hopeless romantic Asian tourist. this one is impressive..
kak debz.. lama ga berkunjung kesini. hehe.. woahh. 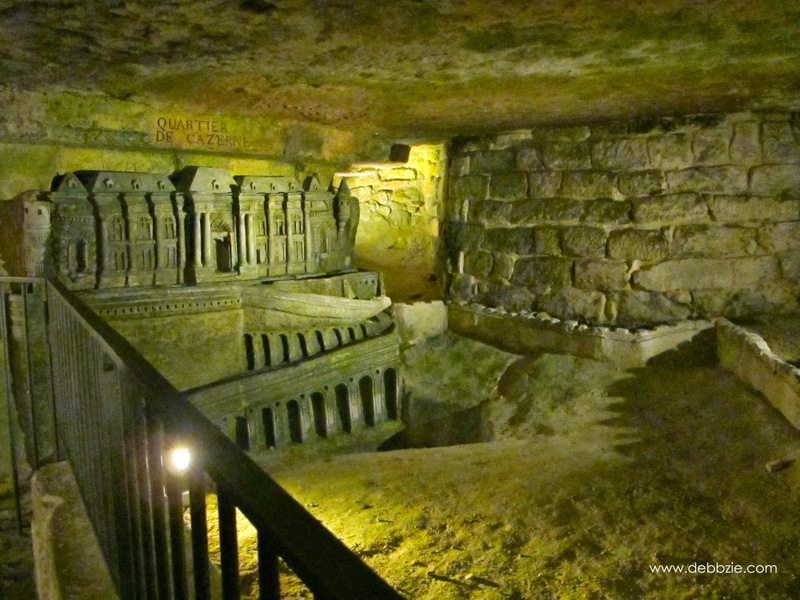 pengen bngt kunjungan ke catacombs ini.. dulu aku juga pernah ke desa trunyan yg di bali, yg semodel catacomb, tapi versi kecil.nya.. itu aja bawaan.nya udah deg2an gimana gt. haha.. untung yahh, dikau ga passed out disana.. bisa repot kalo nggak.. 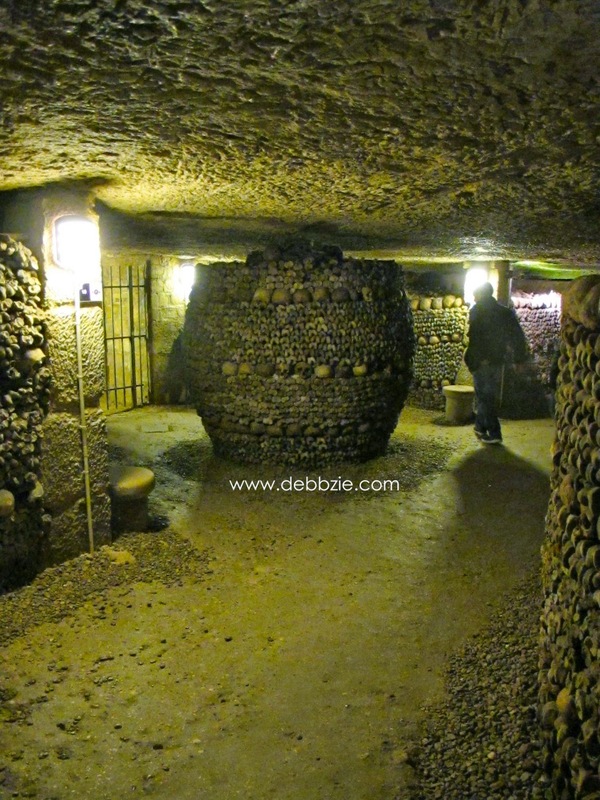 Someday, when in paris, i'll definitely visit this catacombs kak debz! 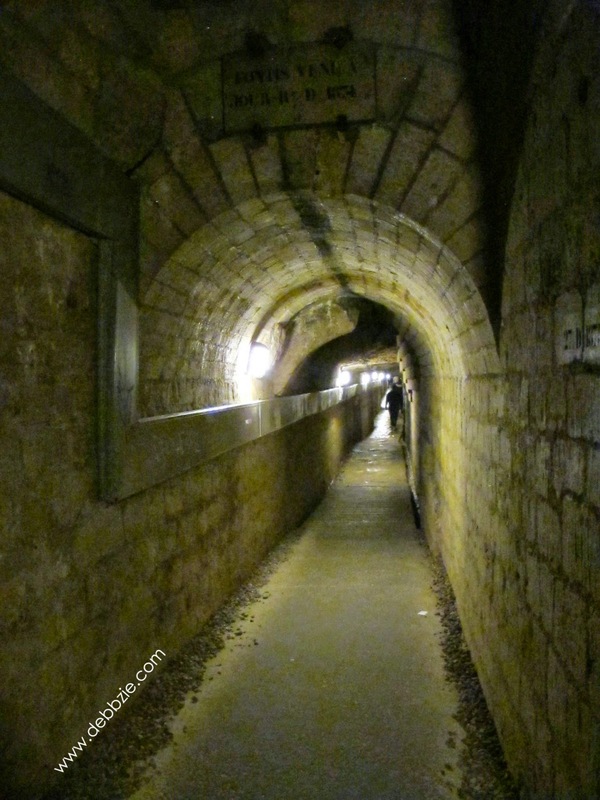 Even though it seem really scary :| err.. there is someone guiding trough the tunnel right? waaah, gak tau kalau ada ini di Paris. kalau tau pas Oktober lalu ke sana bisa mampir, huhu. but then, more reason to re-visit Paris. I don’t try to promote Reiki with you. Just sharing what I have gone through. Please be reminded not to expect instant cure from Reiki. This is the reason why people leave Reiki, because after 2-3 months, they don’t see tremendous results and they feel disappointed and don’t want to proceed with it anymore. Just like we grow plants (using nature power), can we expect the fruits after planting for just a short time?